In 1969 when Barbara first encountered yoga it was not widely taught or accepted in the U.S. and nothing prepared her for the state of well-being she experienced. At age 17, she found her sense of purpose—to become a teacher of this ancient practice that makes well-being accessible for everyone, not later when the body is “in better shape” and the mind is “more peaceful,” but in the body and mind we have in this moment. Barbara has studied yoga for over 40 years in diverse yoga lineages. Her teaching style is primarily infused from the traditions of Siddha, Iyengar, Anusara Yoga and the inspiring teaching of Angela Farmer. Her passion for Bhakti Yoga was ignited by the teachings of RamDass, Baba Muktananda and Neem Karoli Baba. Leading to embrace the power of chanting as a salve that keeps our loving hearts growing. Her spiritual practice of Mindful Awareness brought her to align most closely with the the practices of Loving Kindness in the Vipassana tradition through the teachings of Sharon Salzberg, and the Nyingma tradition of Tibetan Buddhism under the guidance of Rinpoche Anam Thubten. 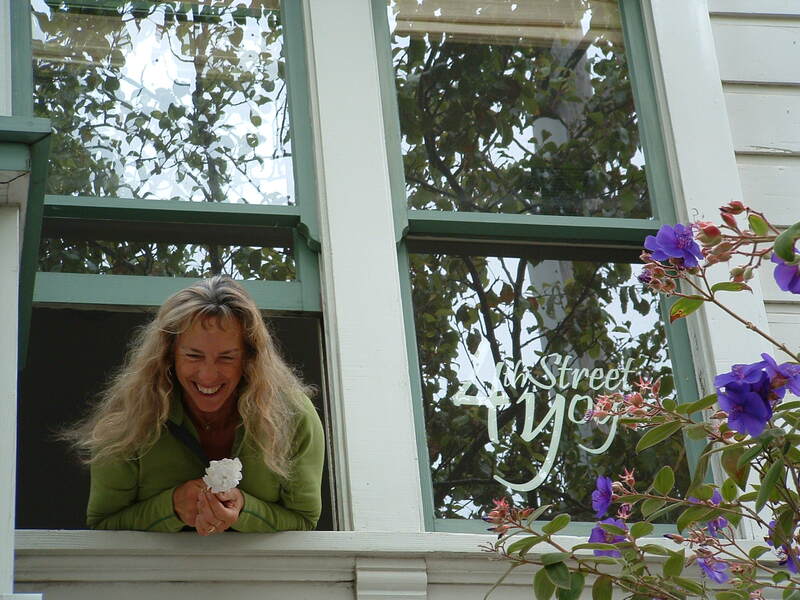 In 1993 Barbara co-founded 4th Street Yoga in Berkeley, where yogis have a place to practice in the heart of it all. She leads retreats all over the world. She has mentored aspiring teachers and been on the staff of teacher trainings. Through her love of chanting and meditation she has collaborated in teaching with Ram Dass, Krishna Das, Jai Uttal, Geoff Gordon, WAH, Sharon Salzberg, Jennifer Berezan, Uma Reed, Silvia Nakkach, Nina Wise and other gifted and respected teachers. In addition to her ongoing classes at 4th St. Yoga she also teaches yoga as a path of healing in the substance abuse recovery population, and works therapeutically with MS, ALS, Stroke and Cancer yogis. She has taught in prisons, specialized in pre-natal yoga, and supported programs for vulnerable youth. Certified in Senior Yoga Therapy through Duke Integrative Medicine, she approaches aging with vibrancy and respect for the changes these later years bring to our practice.